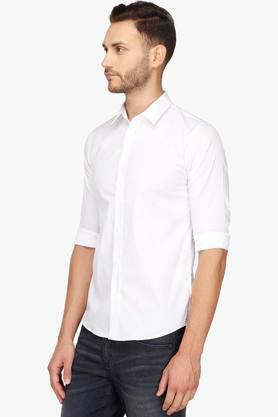 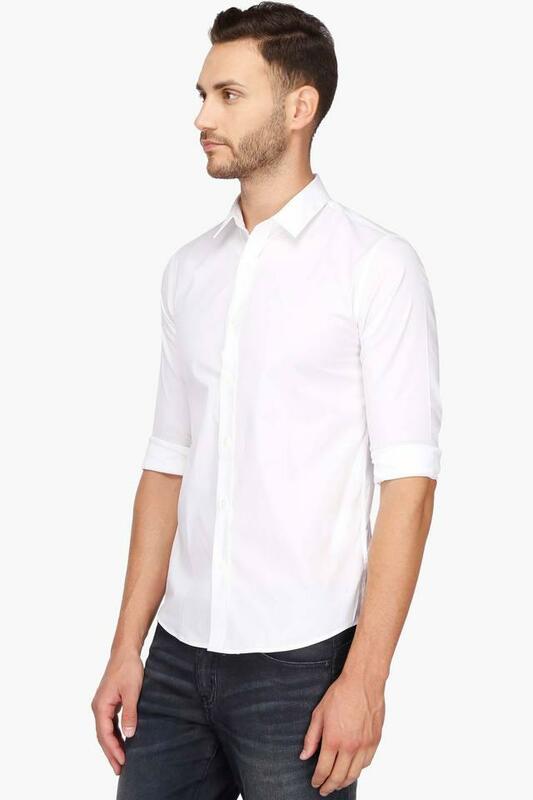 Calvin Klein presents this shirt, which will be an ideal pick for all the fashion forward men of today. 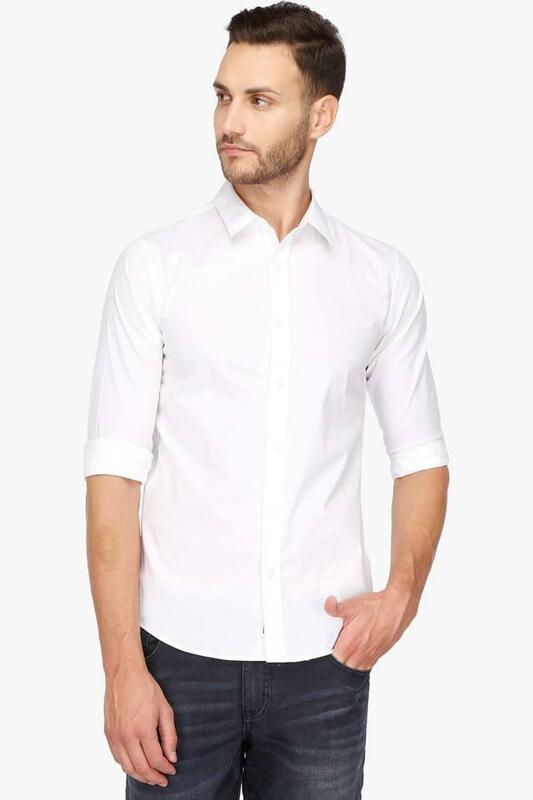 It features a solid pattern that lends it a simple yet stylish look, while the regular collar and the full sleeves add to the overall design. 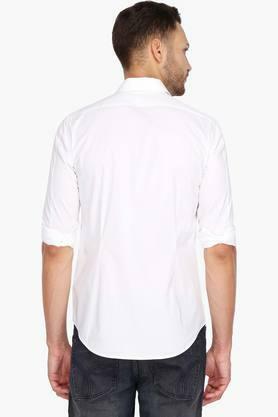 The use of fine quality fabric further makes it comfortable to wear. Score high on the fashion metre by wearing this regular fit shirt, which features a solid pattern. 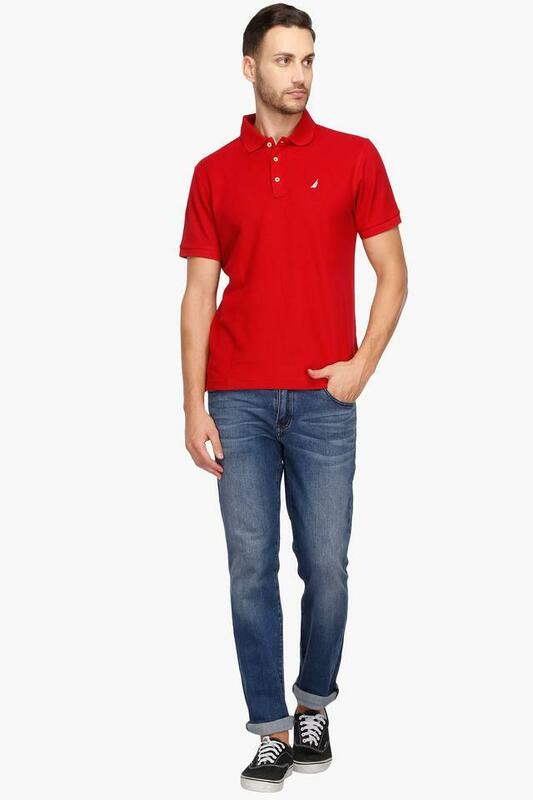 Suitable for any casual day out, it will go well with a pair of jeans and canvas shoes.